I lestened to some music from your site https://www.msx.org/musicplayer which appears on the upper-right of the site. Lovely music. Is there a way of downloading and playing those music offline (when I'm not online)?! It's all in the download database. What about the player?! Does the player run on MSX or PC or Android devices?! Are there a player for all those platforms?! Not entirely sure what you mean. The player is part of the website. If a device you have can run the website, it can probably also run the player. 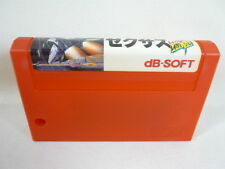 If you want to playback MP3-files on an MSX, you'll be needing an MP3-cartridge and a mass storage medium. In case you (OP) didn't figure out: you can click the (scrolling) playing song title which will lead you to the corresponding d/l page.